Honda is a trusted manufacturer of high-quality vehicles, with a reputation for reliable automotive engineering that goes the distance. 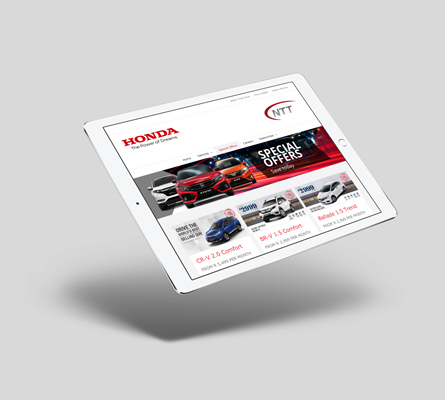 After The Website Engineer’s successful work on other website projects for the NTT Motor Group, we were very happy to be approached by them again to transform their Honda-focused website and help it both handle higher traffic and improve leads and sales. 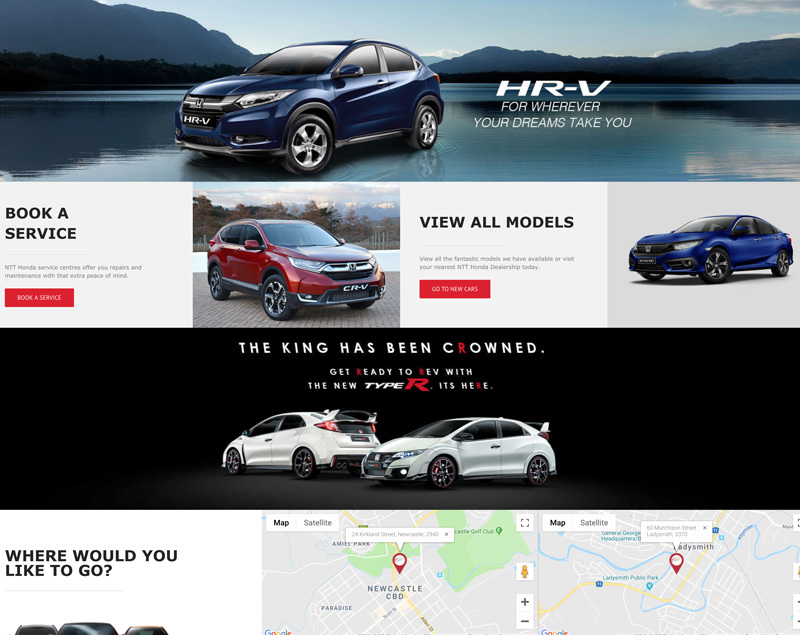 During the design process, special emphasis was placed on displaying all the different Honda models in an intuitive, easily digestible manner for visitors, carefully balancing visuals and details about each vehicle. 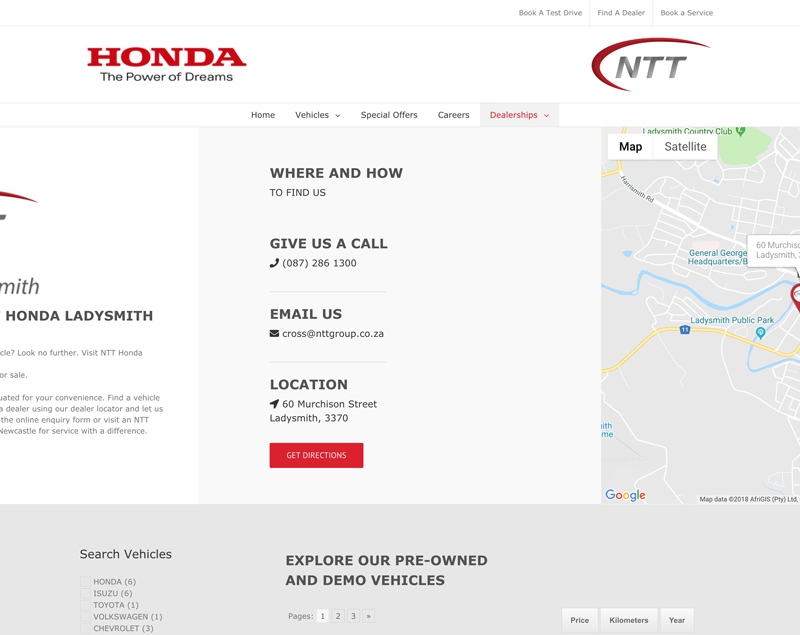 Another element that was important to NTT Honda was directing visitors to their nearest NTT Honda dealership. With these two priorities in mind, we created two parallel but independent designs for their new site – one for new vehicles, and another for pre-owned vehicles and demo models. Both contained similar navigational elements, but the split helped the two different markets find both the vehicle and dealership they were after much faster. 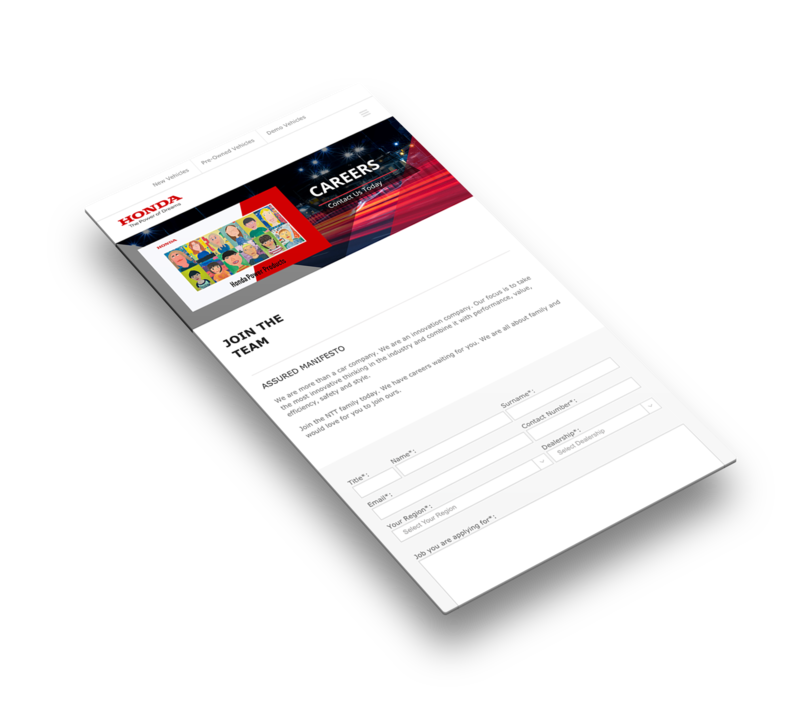 As always, we built in strong calls to action to encourage visitors to enquire about the vehicles they looked at online. At The Website Engineer, we focus on the balance between creating a new, unique, modern design and the existing brand character and identity. 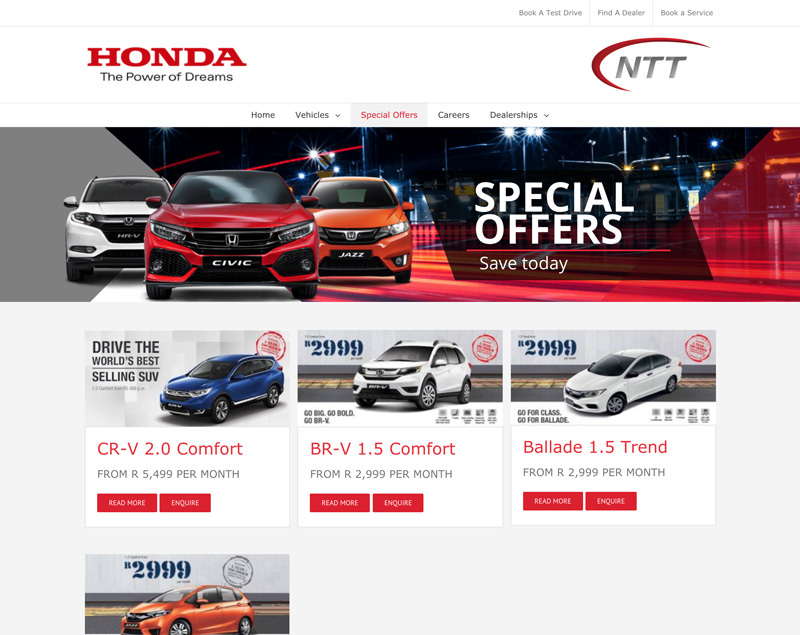 For NTT Honda, this meant taking the very strong Honda brand and building on the trust it creates with customers by providing an experience worthy of the incredible mechanical sophistication of Honda’s engines.